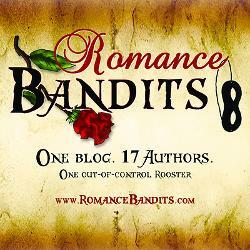 The awesome band of authors known as The Romance Bandits, have very graciously invited me for a stay in their Lair. During my visit I chat with the amazing Historical romance author Anna Campbell about Driving in Neutral, my PhD research, romantic comedies, the inspiration for my books For Your Eyes Only and A Basic Renovation, Cary Grant, Barbara Stanwyck, and my tiny little mom. On top of all this, there’s a giveaway of not one but TWO of my books. Stop by the Romance Bandits Blog for your chance to win Driving in Neutral and For Your Eyes Only!